We would love to work with you to make your wedding a true reflection of who you both are! Congratulations on your engagement and thank you for considering Fresh Dish Catering to be a part of your special day. Fresh Dish is pleased to offer the following menu options. The menus are provided as example of what we can do for your special day. You are welcome to choose from these options or we can work with you to develop something custom. 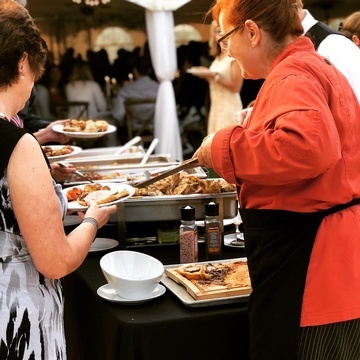 To do this we work a bit differently than most other caterers; we like to get to know you and your plans; what kind of food you like, what kind of wedding you are planning. Is your wedding formal, casual, and/or themed, do you want a full meal or just finger food, and of course what is your budget? 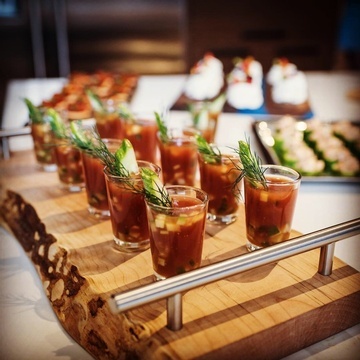 Our commitment to excellence is apparent through our extensive catering options, use of only the freshest and finest ingredients and goal of providing our clients with the ultimate culinary experience. 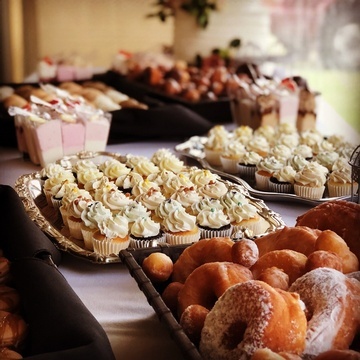 We know that food is crucial to the success of your wedding, and we are dedicated to creating delicious, mouth-watering cuisine that pairs well with your taste buds and adds excitement to your celebration. From traditional fare to culinary adventures, our customizable menus will fit every wedding style and guarantee satisfaction for both you and your guests. We offer a wide assortment of alternatives to choose from, both in menu selection and options. If you are looking for locally raised meats or local produce, if you would like to make your wedding as environmentally friendly as possible by following a 100-mile diet model, an organic menu, or if you would like to provide a fully vegan meal to a mixed vegan and non-vegan crowd, we are happy to work with you and do our best to meet your needs. There may be some restrictions on seasonal, local and/or organic product availability. There will be additional charges for these options. All appetizers and full meals are served buffet style. Fresh Dish can also offer your guests and/or the head table “family style” service. There is an additional charge for this option. Please note there is a maximum number of guest which we can accommodate with "family style" service. Please email us for additional information.